So since the iconic Boba Fett is a wimp now can we get Daddy Fett to take over with some decent fire power? Bossk is great, please don't touch him but we would like a bounty hunter that can hold his own on the battlefield with his sweet arsenal of weapons. If Jango does get added in the near future, please don't nerf him into the ground, thank you. 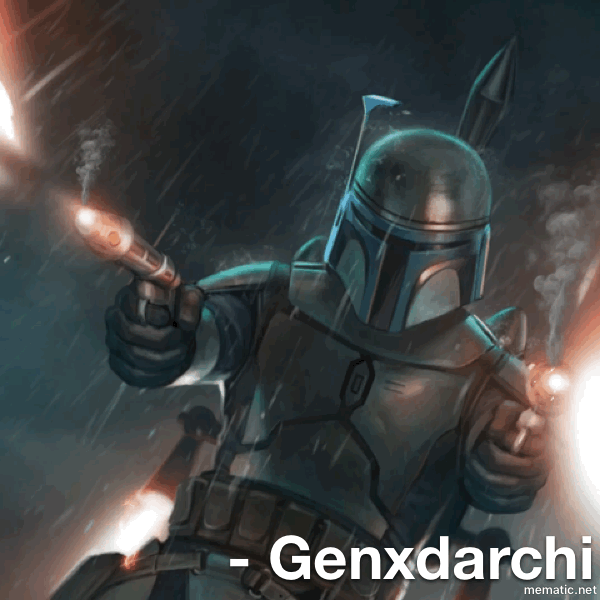 Yes, please don’t make The post battle of Genosis Jango. Possible skin, joking aside Jango was pretty bad **** sadly both him and Boba didn’t get enough screen time for the causal fans but us lore diving EU fans know the truth. Fetts kick **** end of story. 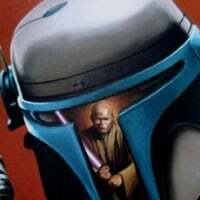 They better make jango an actual hero and not just a skin for boba, I heard people on reddit talking about they would be fine with just making him a skin. Galactic assault of course. They tried to balance for HvV, but most wanted to use him in GA. He is still pretty bad in HvV, because if you dodge once, his rockets won’t kill you. They need to buff his blaster. His EE-3 desperately needs a buff. GA assault boba is horrendous, the entire build is basically mobile rocket platform. You get close to actually use the blaster, your dead, or taking some nasty permanent damage. Flying just isn't fast enough horizontally to avoid any competent player, the Ion turret pretty much completely grounds you from the moment you spawn, it also further gimps your already bad accuracy, so it's only really useful for the barrage. Hovering so you can land shots goes both ways for the enemy. If you're indoors or your jetpack glitches out and get's busted, its just a matter of time before your dead. He needs his concussion missile to reduce affected targets damage by 50-70%, slow movement speed, and further suppress them. 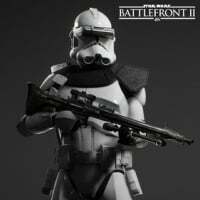 For the Hunt needs to refuel his Jetpack and the range on it needs to be massively increased, and just reveal all enemies. Should be a carbon copy of Rey's, just for himself unless he has the intel sharing star card. I'm all for more heroes etc, but definitely Dooku and Greivous before even considering Jango. I'd rather get Cad Bane or Ventress before him as well....but that's just me. Jango is way more lethal than bane, if you read a bit into his backstory. The movies didn't do him justice. He killed Ventresses double basically one on one. I just think he is too similar to Boba Fett. To be honest, I don't understand why Boba Fett has such a following. I'd like to see him in the game, but there are just many other I'd prefer to see first. To each their own, not hating on ya.